Hey guys, we all know discussions and opinions can get heated. So, please back off just moment, take a breath, stay on topic, and not each other. Tony, I combined all the posts into one, so everybody can come to one place for info. You had the honor of making the very first post on the subject. SASS HQ has been in touch with the tech guys that run the servers. They are working on it. Just to give you an update from my end so far... I do not know if the SASS Office is open today, President's Day. I left a message on their answering machine and sent an e-mail to Misty. If I receive any word, I will post an update here, as promised. I have merged all the "Slow" threads together as requested, so there would be one place to go for information. In the meantime, enjoy the nostalgia of the days of the dial-up modem. All that is missing is the hiss, whine, and grind of the modem trying to connect up! On a lighter note, it's Sunday, family get-together-day. So, I get to see my son and his wife, and my grand-kids. So, slow Wire or no, it's a good day! At the request of several of you who have posted here, I merged all the SLOW threads... and then you complain because they are merged? Really?? The Moderators do not have magic wands. We can not make the Wire go faster. Personally, I will wait until the SASS Office is open for business again during the week, and I will call them, during office hours. If they can give me an update, I will let you know. 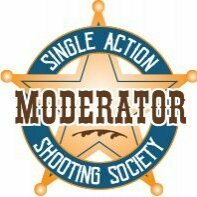 Have any of you SASS members who seem to have plenty of time to complain done the polite thing and called? If you have, why haven't YOU posted here? Eliphalet R. Moderator replied to Ripple's topic in SASS Wire F.A.Q. A note to all Forum Users: "...There IS a difference between a debate and an argument. Arguments are disrespectful and will not be tolerated. Treating each other with respect is paramount." Please keep your discourse civil and refrain from personal attacks. "Offers on the Classifieds may only be posted by a SASS Member (you may not post for someone else), in good standing, and must include his/her SASS Number." We've been letting folks post for those who are disabled or not computer literate. In those cases, you may not sell guns that are not yours, but you may refer prospective buyers to the seller. The seller must be a SASS member and you must post their SASS name and number. Posts that do not meet these parameters will be deleted. SASS Event Wire Guidelines . Use the following format: For example, July 1-4, 2018 should be written as 0701-0704 2018. That keeps the matches in order of occurrence. . Match announcements that aren't in the correct format will be deleted. . List your match location. . Follow your Topics, that way, if someone has a question, you will see it. I went back and looked at old posts to see if any of yours got dropped. The only one I could find was in the Town Drunk thread? Was that it? Eliphalet R. Moderator replied to PaleWolf Brunelle, #2495L's topic in SASS Wire F.A.Q.